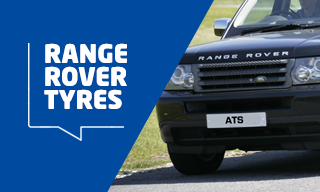 At ATS Euromaster we stock some of the best mid range tyres from brands such as Avon, BFGoodrich, Cooper, Hankook, Kenda and Uniroyal. When selecting tyres for your car, you will want something that can deliver on performance, safety and not wear down quickly. It is the engineering that goes into these tyres that will aid in your selection. Whilst premium brands are best known for delivering on this, they can come with a hefty price tag. To get the best balance of price and specifications, mid-range tyres are an excellent option. Mid-range tyres tend to be the best option if you are the kind of driver who needs their car for getting to and from work, transporting your family around and other frequent journeys. If you rarely put a lot of strain on your vehicle, or rarely drive over harsh terrain and through tough conditions, then mid-range tyre prices offer the best balance and performance for your vehicle. For the average driver, mid-range tyres offer great performance in wet and dry conditions, can corner well, and are extremely durable for everyday driving.